A U.K. man has belted out 314 songs in a row to raise funds for charity. When the Great Ormond Street Hospital of London saved the life of one-year-old Amelia Hill, who suffered from a congenital condition that left her heart unable to adequately pump oxygenated blood, her father Julian was so thrilled and grateful that he made a ridiculous pledge: He would raise money for the hospital by playing the Sony karaoke game Singstar for a solid 24 hours. Impetuous and ill-conceived or not, Hill didn't back down and over the past weekend at the Ambassador's Bloomsbury Hotel, he actually pulled it off. Using equipment provided by Sony, Hill sang 314 songs in a row, adding up to 24 hours, 21 minutes and 25 seconds. His marathon Singstar session earned a Guinness Record for "longest videogames marathon playing a karaoke game" and, more importantly, raised nearly Â£3000 [$4800] for the hospital. "I was overwhelmed by how the online gaming community got behind this and that's obvious in donations," he told Eurogamer. "The whole event was streamed live over the Internet, with nearly 2000 unique viewers watching a grand total of over 500 hours between them. I was viewed in UK, Ireland, France Germany, New Zealand, Japan, America and Australia, with the most popular moment being my final song." I think congratulations to Julian are in order for a job well done. 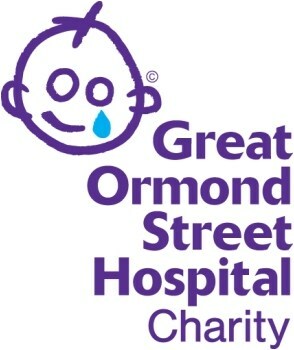 And while the marathon has ended, donations to Hill's Singstar Endurance Challenge for the Great Ormond Street Hospital Children's Charity can still be made at justgiving.com.